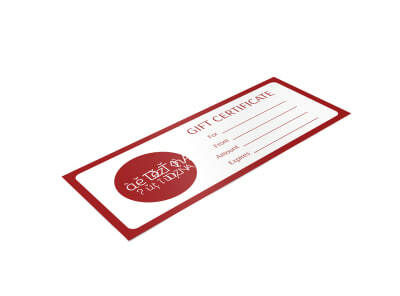 Make it easy for retail patrons to share their love of your store with gift certificates you customize using our easy online editor. 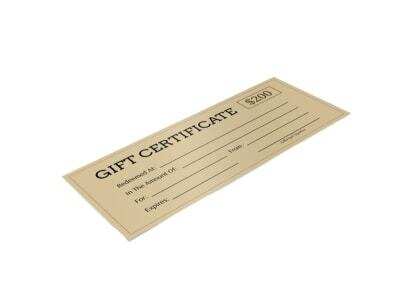 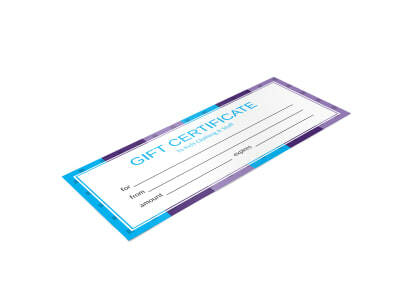 Our retail gift certificate templates are designed by professionals, giving even the smallest mom-and-pop stores a big-store feel. 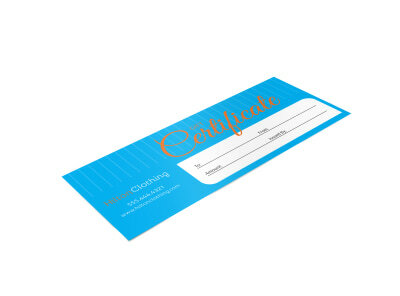 Select your favorite design from the eye-grabbing choices in our template inventory, and then tweak the design using our editor to make your gift certificate all you’d envisioned. 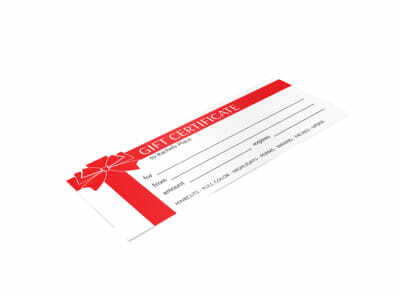 Add graphics, your store’s logo, and other customizations, and then print your certificates yourself or let us do it for you.